Before the outbreak of the Second World War, Germany and the Soviet Union signed the German-Soviet Nonaggression Pact, concerning the partition and disposition of sovereign states, including Estonia. In particular its Secret Additional Protocol of August 1939. The Republic of Estonia declared neutrality in the war but fell under the Soviet sphere of influence due to the Molotov–Ribbentrop Pact and was occupied by the Soviet Union in 1940. Mass political arrests, deportations, and executions followed. In the Summer War during the German Operation Barbarossa in 1941, the pro-independence Forest Brothers captured South Estonia from the NKVD and the 8th Army before the arrival of the German 18th Army. At the same time, the Soviet paramilitary destruction battalions carried out punitive operations, including looting and killing, based on the tactics of scorched earth proclaimed by Joseph Stalin. Estonia was occupied by Germany and incorporated into Reichskommissariat Ostland. In 1941, Estonians were conscripted into the 8th Estonian Rifle Corps and in 1941–1944 to the Nazi German forces. Men who avoided these mobilisations, fled to Finland to be formed into the Finnish Infantry Regiment 200. About 40% of the Estonian pre-war fleet was requisitioned by British authorities and used in Atlantic convoys. Approximately 1000 Estonian sailors served in the British Merchant Navy, 200 of them as officers. A small number of Estonians served in the Royal Air Force, in the British Army and in the U.S. Army. From February to September 1944, the German army detachment "Narwa" held back the Soviet Estonian Operation. After breaching the defence of II Army Corps across the Emajõgi river and clashing with the pro-independence Estonian troops, the Soviet forces reoccupied mainland Estonia in September 1944. After the war, Estonia remained incorporated into the Soviet Union as the Estonian SSR until 1991, although the Atlantic Charter stated that no territorial arrangements shall be made. 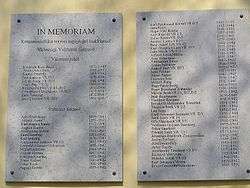 World War II losses in Estonia, estimated at around 25% of the population, were among the highest proportion in Europe. War and occupation deaths listed in the current reports total at 81,000. These include deaths in Soviet deportations in 1941, Soviet executions, German deportations, and victims of the Holocaust in Estonia. With USSR on May 4, 1932. On July 3, 1933, for the first time in the history of international relations, aggression was defined in a binding treaty signed at the Soviet Embassy in London by the USSR and among others, The Republic of Estonia. Second – invasion by armed forces of the territory of another State even without a declaration of war. Fourth – a naval blockade of coasts or ports of another State. Estonia, Latvia and Lithuania jointly declared their neutrality on November 18, 1938, in Riga, at the Conference of Baltic Foreign Ministers with their respective parliaments passing neutrality laws later that year. Estonia passed a law ratifying its neutrality on December 1st, 1938, which was modelled on Sweden's declaration of neutrality of May 29, 1938. Also importantly, Estonia had asserted its neutrality in its very first constitution, as well as the Treaty of Tartu concluded in 1920 between Republic of Estonia and the Russian SFSR. Early in the morning of August 24, 1939, the Soviet Union and Nazi Germany signed a 10-year non-aggression pact, called the Molotov–Ribbentrop pact. Most notably, the pact contained a secret protocol, revealed only after Germany's defeat in 1945, according to which the states of Northern and Eastern Europe were divided into German and Soviet "spheres of influence". In the north, Finland, Estonia and Latvia were assigned to the Soviet sphere. Poland was to be partitioned in the event of its "political rearrangement"—the areas east of the Narev, Vistula and San Rivers going to the Soviet Union while Germany would occupy the west. Lithuania, adjacent to East Prussia, would be in the German sphere of influence, although a second secret protocol agreed in September 1939 assigned the majority of Lithuania to the USSR. World War II began with the invasion of an important regional ally of Estonia – Poland, by Germany. Although some coordination existed between Germany and the USSR early in the war, the Soviet Union communicated to Nazi Germany its decision to launch its own invasion seventeen days after Germany's invasion, as a result, in part, of the unforeseen rapidity of the Polish military collapse. September 3, Great Britain, France, Australia, and New Zealand declare war on Germany. September 14, the Polish submarine ORP Orzeł reached Tallinn, Estonia. On September 17, the Soviet Union invaded its part of Poland under the Molotov–Ribbentrop Pact's secret protocol. During this invasion, a close coordination of German and Soviet military activity took place. 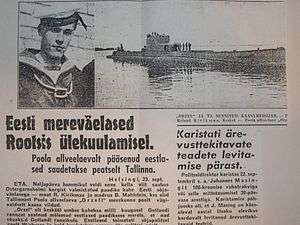 September 18, Orzeł incident; the Polish submarine escaped from internment in Tallinn and eventually made her way to the United Kingdom; Estonia's neutrality questioned by the Soviet Union and Germany. On September 24, 1939, with the fall of Poland to Nazi Germany and the USSR imminent and in light of the Orzeł incident, the Moscow press and radio started violently attacking Estonia as "hostile" to the Soviet Union. Warships of the Red Navy appeared off Estonian ports, and Soviet bombers began a threatening patrol over Tallinn and the nearby countryside. Moscow demanded that Estonia allow the USSR to establish military bases and station 25,000 troops on Estonian soil for the duration of the European war. 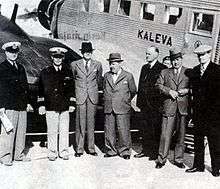 The government of Estonia accepted the ultimatum signing the corresponding agreement on September 28, 1939. It was declared: the pact "should not affect" the "economic systems and state organizations" of the USSR and Estonia. There is no consensus in Estonian society about the decisions that the leadership of the Republic of Estonia made at that time. When Soviet troops marched into Estonia the guns of both nations gave mutual salutes, and bands played both the Estonian anthem and the Internationale, the anthem of the USSR, at the time. Similar demands were forwarded to Finland, Latvia and Lithuania. Finland resisted, and was attacked by the Soviet Union on November 30. Because the attack was judged as illegal, the Soviet Union was expelled from the League of Nations on December 14. Finland held out in the Winter War until March 1940, when the Moscow Peace Treaty was signed. The first population loss for Estonia was the repatriation of about 12,000–18,000 Baltic Germans to Germany. In the summer of 1940 the occupation of Estonia was carried through as a regular military operation. 160,000 men, supported by 600 tanks were concentrated for the invasion into Estonia. 5 divisions of the Soviet Air Force with 1150 aircraft blockaded the whole Baltic air space against Estonia, Lithuania and Latvia. The Soviet Baltic Fleet blockaded the operation from the sea. The Soviet NKVD was ordered to be ready for the reception of 58,000 prisoners of war. On June 3, 1940, all Soviet military forces based in the Baltic states were concentrated under the command of Aleksandr Loktionov. 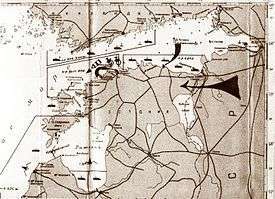 On June 9, the directive 02622ss/ov was given to the Red Army's Leningrad Military District by Semyon Timoshenko to be ready by June 12 to (a) Capture the vessels of the Estonian, Latvian and Lithuanian Navy in their bases and/or at sea; (b) Capture the Estonian and Latvian commercial fleet and all other vessels; (c) Prepare for an invasion and landing in Tallinn and Paldiski; (d) Close the Gulf of Riga and blockade the coasts of Estonia and Latvia in Gulf of Finland and Baltic Sea; (e) Prevent an evacuation of the Estonian and Latvian governments, military forces and assets; (f) Provide naval support for an invasion towards Rakvere; (g) Prevent Estonian and Latvian airplanes from flying either to Finland or Sweden. On June 12, 1940, the order for a total military blockade on Estonia was given to the Soviet Baltic Fleet, according to the director of the Russian State Archive of the Naval Department Pavel Petrov (C.Phil.) referring to the records in the archive. On June 13 at 10:40 am the Soviet forces started to move to their positions and were ready by June 14 at 10 pm. a) 4 submarines and a number of light navy units were positioned in the Baltic Sea, to the gulfs of Riga and Finland to isolate the Baltic states by sea. b) A navy squadron including three destroyer divisions were positioned to the west of Naissaar in order to support the invasion. c) The 1st marine brigade's four battalions on transportation ships Sibir, 2nd Pjatiletka and Elton were positioned for landing and invasion of Naissaare and Aegna; d) Transportation ship Dnester and destroyers Storozevoi and Silnoi were positioned with troops for the invasion of the capital Tallinn; e) the 50th battalion was positioned on ships for an invasion near Kunda. In the naval blockade participated in total 120 Soviet vessels including 1 cruiser, 7 destroyers, and 17 submarines; 219 airplanes including the 8th air-brigade with 84 bombers: DB-3 and Tupolev SB and the 10th brigade with 62 airplanes. On June 14 while the world’s attention was focused on the fall of Paris to Nazi Germany a day earlier, the Soviet military blockade on Estonia went into effect. Two Soviet bombers downed Finnish passenger airplane "Kaleva" flying from Tallinn to Helsinki carrying three diplomatic pouches from the U.S. legations in Tallinn, Riga and Helsinki and over 120 kilograms of diplomatic mail by two French embassy couriers. The US Foreign Service employee Henry W. Antheil, Jr., the French couriers and other passengers were killed in the crash. On June 16, 1940, the Soviet Union invaded Estonia. The Red Army exited from their military bases in Estonia; some 90,000 additional Soviet troops entered the country. Vyacheslav Molotov had accused the Baltic states of conspiracy against the Soviet Union and delivered an ultimatum to Estonia for the establishment of a government the Soviets approve of. The Estonian government decided according to the Kellogg-Briand Pact not to use war as an instrument of national policy, given the overwhelming Soviet force both on the borders and inside the country – not to resist, to avoid bloodshed and open war. On June 17, the day France surrendered to Germany, Estonia accepted the ultimatum and the statehood of Estonia de facto ceased to exist. 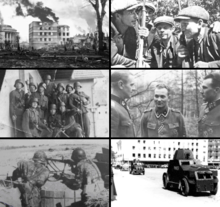 The military occupation of the Republic of Estonia was complete by June 21, 1940 and rendered "official" by a communist coup d'état supported by the Soviet troops. Most of the Estonian Defence Forces and the Estonian Defence League surrendered according to the orders of the Estonian Government believing that resistance was useless and were disarmed by the Red Army. [nb 1] Only the Estonian Independent Signal Battalion stationed in Tallinn at Raua Street showed resistance to Red Army, along with a Communist militia called "People's Self-Defence", (Estonian: Rahva Omakaitse) on 21 June 1940. As the Red Army brought in additional reinforcements supported by six armoured fighting vehicles, the battle lasted several hours until sundown. Finally the military resistance was ended with negotiations and the Independent Signal Battalion surrendered and was disarmed. There were 2 dead Estonian servicemen, Aleksei Männikus and Johannes Mandre, and several wounded on the Estonian side and about 10 killed and more wounded on the Soviet side. On the same day, June 21, 1940, the Flag of Estonia was replaced with a Red flag on Pikk Hermann tower, the symbol of the government in force in Estonia. On 14–15 July, rigged and likely fabricated elections were held in which only Soviet-supported candidates were permitted to run. Those who failed to have their passports stamped for voting for a communist candidate risked getting shot in the back of the head. Tribunals were set up to punish "traitors to the people", those who had fallen short of the "political duty" of voting Estonia into the USSR. The "parliament" so elected proclaimed Estonia a socialist republic on July 21, 1940, and unanimously requested Estonia to be "accepted" into the Soviet Union. 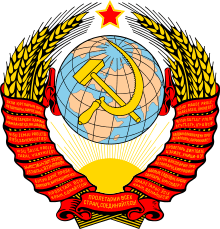 The Soviet Union annexed Estonia on August 6 and renamed the Estonian Soviet Socialist Republic. The 1940 occupation and annexation of Estonia into the Soviet Union was considered illegal and never officially recognized by Great Britain, the United States and other Western democracies. The annexation abrogated numerous prior treaties entered into by the Soviet Union and its predecessor, Bolshevist Russia. The Soviet authorities, having gained control over Estonia, moved rapidly to stamp out any potential opposition to their rule. During the first year of Soviet occupation (1940–1941) over 8,000 people, including most of the country's leading politicians and military officers, were arrested. About 2,200 of the arrested were executed in Estonia, while most others were moved to prison camps in Russia, from where very few were later able to return alive. On July 19, 1940, the Commander-in-chief of the Estonian Army Johan Laidoner was captured by the NKVD and deported together with his spouse to the town of Penza. Laidoner died in the Vladimir Prison Camp, Russia on March 13, 1953. President of Estonia, Konstantin Päts was arrested and deported by the Soviets to Ufa in Russia on July 30; he died in a psychiatric hospital in Kalinin (currently Tver) in Russia in 1956. 800 Estonian officers, i.e., about a half of the total were executed, arrested or starved to death in prison camps. Mass deportation was another key weapon of Soviet control. In spring 1941 the Serov Instructions "On the Procedure for carrying out the Deportation of Anti-Soviet Elements from Lithuania, Latvia, and Estonia" was issued, providing procedure for the deportation of those deemed to be 'anti-Soviet'. This order was operationalised on June 14, 1941, when the mass June deportation took place simultaneously in all three Baltic countries; almost 10,000 Estonians were deported in just a couple of days. [nb 2] Forcible conscription into the Red Army began after the German invasion of the Soviet Union on June 22, 1941, but the Estonian conscripts were soon deemed unreliable and assigned to "labour battalions". Of the 33,000 Estonian conscripts, more than 10,000 died in these inhuman conditions due to disease, hunger and cold. When Estonia was proclaimed as a Soviet Republic, the crews of 42 Estonian ships in foreign waters refused to return to their homeland (about 40% of the pre-war Estonian fleet). These ships were requisitioned by the British powers and were used in Atlantic convoys. During the time of the war, approximately 1000 Estonian seamen served in the British militarised merchant marine, 200 of them as officers. A small number of Estonians served in the Royal Air Force, in the British Army and in the US Army, altogether no more than two hundred. Immediately after the Soviet takeover, local Russian institutions (societies, newspapers etc.) were closed down. The cultural life that had developed during Estonia's independence was destroyed. Almost all of the leading Russian emigres were arrested and later executed. Some of the Russian White emigres had already been arrested before 21 June 1940 by the Estonian political police, probably in order to avoid 'provocations' during the Red Army's invasion, and those arrested were consequently handed over to the NKVD torture chambers after the Communist takeover. Up to the reassessment of Soviet history in the USSR that began during Perestroika, before the USSR had condemned the 1939 secret protocol between Nazi Germany and itself that had led to the invasion and occupation of the three Baltic countries including Estonia, the events in 1939 according to the pre-Perestroika Soviet sources were as following: in a prior province of the Russian Empire, the Governorate of Estonia (Russian: Эстляндская губерния), Soviet power was established in the end of October 1917. The Estonian Soviet Republic was proclaimed in Narva on November 29, 1918 but fell to counter-revolutionaries and the White movement in 1919. In June 1940 Soviet power was restored in Estonia as workers had overthrown the fascist dictatorship in the country. The Government of the Soviet Union suggested that the Government of the Republic of Estonia conclude a mutual assistance treaty between the two countries. The pressure from Estonian working people forced the Estonian government to accept this suggestion. On September 28, 1939, the Pact of Mutual Assistance was signed which allowed the USSR to station a limited number of Red Army units in Estonia. Economic difficulties, dissatisfaction with the Estonian government policies 'that had sabotaged fulfillment of the Pact and the Estonian government' and political orientation towards Nazi Germany led to a revolutionary situation on June 16, 1940. A note from the Soviet government to the Estonian Government suggested that they stick strictly to the Pact of Mutual Assistance. To guarantee fulfillment of the Pact additional military units entered Estonia, welcomed by the Estonian workers who demanded the resignation of the Estonian government. On June 21 under the leadership of the Estonian Communist Party political demonstrations by workers were held in Tallinn, Tartu, Narva and other cities. On the same day the fascist government was overthrown, and the People's government led by Johannes Vares was formed. 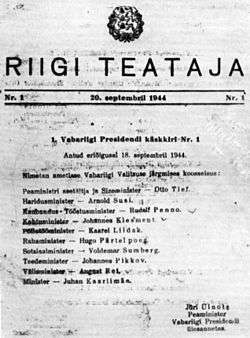 On July 14–15, 1940 elections for the Riigikogu the Estonian Parliament were held. The "Working People’s Union", created by an initiative of the Estonian Communist Party received with 84.1% electorate participation 92.8% of the votes. On July 21, 1940 the State Assembly adopted the declaration of the restoration of Soviet power in Estonia and proclaimed the Estonian Soviet Socialist Republic. On July 22 the declaration of Estonia's wish to join the USSR was adopted and the Supreme Soviet of the USSR was addressed accordingly. The request was approved by the Supreme Soviet of the USSR on August 6, 1940. On July 23 the State Assembly proclaimed all land to be People's Property while banks and heavy industry were nationalized. On August 25 the State Assembly adopted the Constitution of the Estonian SSR, renamed itself the Supreme Soviet of the Estonian SSR and approved the Council of People's Commissars of the Estonian SSR. On June 22, 1941, Nazi Germany launched their invasion of the Soviet Union. On July 3, Joseph Stalin made his public statement over the radio calling for a scorched earth policy in the areas to be abandoned. In North Estonia, the Soviet destruction battalions had the greatest impact, being the last Baltic territory captured from the Soviets. Pro-independence Forest Brothers, numbering 12,000, attacked the forces of the NKVD and the 8th Army (Major General Ljubovtsev), killing 4,800 and capturing 14,000. The fight against Forest Brothers and the implementation of the scorched earth tactics were accompanied by terror against the civilian population, which was treated as supporters or shelterers of the insurgents. Destruction battalions burnt down farms and some small boroughs. In turn, the members of the extermination battalions were at risk of repressions by the anti-Soviet partisans. Thousands of people including a large proportion of women and children were killed, while dozens of villages, schools and public buildings were burned to the ground. In August 1941, all residents of the village of Viru-Kabala were killed including a two-year-old child and a six-day-old infant. In the Kautla massacre, twenty people, all civilians, were murdered — many of them after torture — and tens of farms destroyed. The low toll of human deaths in comparison with the number of burned farms is due to the Erna long-range reconnaissance group breaking the Red Army blockade on the area, allowing many civilians to escape. Occasionally, the battalions burned people alive. The destruction battalions murdered 1,850 people in Estonia. Almost all of them were partisans or unarmed civilians. After the German 18th Army crossed the Estonian southern border on July 7–9, the Forest Brothers organized themselves into bigger units. They took on the 8th Army units and destruction battalions at Antsla on 5 July 1941. The next day, a larger offensive happened in Vastseliina where the Forest Brothers prevented Soviet destruction of the town and trapped the extermination battalion chiefs and local communist administrators. On July 7, the Forest Brothers were able to hoist the Estonian flag in Vasteliina. Võru was subsequently liberated and by the time the 18th army arrived, the blue-black-white flags were already at full mast and the Forest Brothers had organised into the Omakaitse militia. The battle of Tartu lasted for two weeks and destroyed a large part of the city. Under the leadership of Friedrich Kurg, the Forest Brothers drove the Soviets out of Tartu, behind the Pärnu River – Emajõgi line and secured southern Estonia under Estonian control by July 10. The NKVD murdered 193 people in Tartu Prison on their retreat on July 8. The 18th Army resumed their advance in Estonia by working in cooperation with the Forest Brothers. The joint Estonian-German forces took Narva on 17 August. By the end of August, Tallinn was surrounded, while in the harbor was the majority of the Baltic Fleet. On August 19, the final German assault on Tallinn began. The joint Estonian-German forces took the Estonian capital on August 28. The Soviet evacuation of Tallinn carried heavy losses. On that day, the Red flag shot down earlier on Pikk Hermann was replaced with the flag of Estonia. After the Soviets were driven out from Estonia, German troops disarmed all the Forest Brother groups. The Estonian flag was replaced shortly with the flag of Germany. On September 8, German and Estonian units launched Operation Beowulf to clear Soviet forces from the West Estonian archipelago. There were a series of diversionary attacks to confuse the Soviet defenders. The operation had achieved its objectives by 21 October. 2,199 people were killed by the Soviet state security agencies, the destruction battalions, the Red Army and the Baltic Fleet, among them 264 women and 82 minors. Grave damage was caused to the Estonian Co-operative Wholesale Society, the Estonian Meat Export Company and the Central Association of Co-operative Dairies. 3,237 farms were destroyed. Altogether, 13,500 buildings were destroyed. The data of the 1939 livestock and fowl differed from the 1942 by the following numbers: there were 30,600 (14%) fewer horses, 239,800 (34%) fewer dairy cattle, 223,600 (50%) fewer pigs, 320,000 (46%) fewer sheep, and 470,000 (27.5%) fewer fowl. The following equipment was evacuated to the Soviet Union: those of the Tallinn Engineering Works "Red Krull", radio factory "Radio Pioneer", and the Northern Pulp and Paper Mills. The dismantling of the oil shale industry also began. Additionally raw materials, semi-manufactured products and finished production were evacuated. Altogether, 36,849 Soviet rubles worth of industrial equipment, 362,721 rubles worth of means of transport, 82,913 rubles worth of finished products and 94,315 rubles worth of materials were carried out. Added to the inventory, semi-manufactured products and foodstuff, a total of 606,632 rubles worth of assets were evacuated. In the fires of 12 and 13 July, the headquarters of the Estonian Defence League, the campus of the Faculty of Veterinary and Agriculture of the University of Tartu and more university buildings were burnt down. Several libraries of the University and 135 major private libraries were destroyed, totalling 465,000 books, many archive materials and 2,500 pieces of art lost. Among them were the libraries of Aino and Gustav Suits and Aurora and Johannes Semper. For more details on this topic, see Occupation of Estonia by Nazi Germany. Most Estonians greeted the Germans with relatively open arms and hoped for restoration of independence. In Southern Estonia pro-independence administrations were set up, led by Jüri Uluots, and a co-ordinating council was set up in Tartu as soon as the Soviet regime retreated and before German troops arrived. [nb 3] The Forest Brothers who drove the Red Army from Tartu made this possible. [nb 4] This was all for nothing since the Germans disbanded the provisional government and Estonia became a part of the German-occupied Reichskommissariat Ostland. A Sicherheitspolizei was established for internal security under the leadership of Ain-Ervin Mere. Germanization (Eindeutschung) of the "racially suitable" elements. The creation of the Republic of Estonia in 1918 marked the beginning of a new era for the Jews. Approximately 200 Jews fought in combat for the creation of the Republic of Estonia and 70 of these men were volunteers. On 12 February 1925 the Estonian government passed a law unique in inter-war Europe pertaining to the cultural autonomy of ethnic minorities. [nb 7] The Jewish community quickly prepared its application for cultural autonomy. Statistics on Jewish citizens were compiled. They totaled 3045, fulfilling the minimum requirement of 3000. In June 1926 the Jewish Cultural Council was elected and Jewish cultural autonomy was declared. Jewish cultural autonomy was of great interest to the global Jewish community. The Jewish National Endowment presented the Government of the Republic of Estonia with a certificate of gratitude for this achievement. There were, at the time of the Soviet occupation in 1940, approximately 4000 Estonian Jews. Many Jewish people were deported to Siberia along with other Estonians by the Soviets. It is estimated that 500 Jews suffered this fate. The Jewish community was amongst the first to be rounded up in accordance with the Generalplan Ost which required the removal of 50% of Estonian citizens. With the invasion of the Baltics, it was the intention of the Nazi government to use the Baltic countries as their main area of mass genocide. Consequently, Jews from countries outside the Baltics were shipped there to be exterminated. Out of the approximately 4,300 Jews in Estonia before the war, between 950 and 1,000 were entrapped by the Nazis. An estimated 10,000 Jews were killed in Estonia after having been deported to camps there from elsewhere in Eastern Europe. There have been 7 known ethnic Estonians—Ralf Gerrets, Ain-Ervin Mere, Jaan Viik, Juhan Jüriste, Karl Linnas, Aleksander Laak, and Ervin Viks—who have faced trials for crimes against humanity. Since the reestablishment of Estonian independence, the Estonian International Commission for Investigation of Crimes Against Humanity has been established. Markers were put in place for the 60th anniversary of the mass executions that were carried out at the Lagedi, Vaivara and Klooga (Kalevi-Liiva) camps in September 1944. "Although these murderers must answer for their crimes as individuals, the Estonian Government continues to do everything possible to expose these crimes. I apologise for the fact that Estonian citizens could be found among those who participated in the murdering of people or assisted in the perpetration of these crimes." Estonia (together with Austria, Lithuania, Norway, Romania, Sweden, Syria and Ukraine) has been given the grade Category F: "Total Failure" ("countries, which refuse in principle to investigate, let alone prosecute, suspected Nazi war criminals") by the Simon Wiesenthal Center Status Report on Investigation and Prosecution of Nazi War Criminals for 2006. In 1941, it was announced in Germany that additional Combat Support Forces, the Waffen-SS units would be raised from non-German foreign nationals. The goal was to acquire additional manpower from occupied nations. Some of these formed foreign legions included volunteers from Belgium, Denmark, Finland, France, Norway, and the Netherlands. Up to March 1942, drafted Estonians mostly served in the rear of Army Group North security. On August 28, 1942, the German powers announced the legal compilation of the Estonian Legion within the Combat Support Forces, the Waffen SS Verfügungstruppe units. Oberführer Franz Augsberger was nominated the commander of the legion. As of October 13, 1942, 500 volunteers had appeared. In the spring of 1943, additional men were drafted from the police and the number rose to 1,280. 90% of the volunteers had lost a relative in the Red Terror. The battalion "Narwa" was formed from the first 800 men of the Legion to have finished their training at Dębica (Heidelager in 1943), being sent in April 1943 to join the Division Wiking in Ukraine. They replaced the Finnish Volunteer Battalion, recalled to Finland for political reasons. The battalion "Narwa" participated in the battle of the Korsun-Cherkassy Pocket. Retreating through the escape route called The Hell's Gate, the battalion came under heavy Soviet fire with little cover. The battalion lost almost all of its equipment during the carnage while most of the troops escaped encirclement. In March 1943, the German occupying powers turned to mobilization by conscripting men born in Estonia between 1919 and 1924. Until August 1943, 5300 men were drafted for the Estonian Legion and 6800 for support service (Hilfswillige) to the German Wehrmacht. A mobilization in October 1943 called up men born in 1925–1926. On May 5, 1943, the 3 Estonian SS Volunteer Brigade was formed and sent to the front near Nevel. A consequence of the 1943 mobilizations was the wave of an estimated 5,000 Estonian men fleeing to Finland in order to avoid the German draft. Over half of these men volunteered for service in the Finnish armed forces. About 2,300 joined the army and 400 the navy. Estonian military units within the Red Army began to be formed in January 1942, from among ethnic Estonians living in the USSR. A Soviet source suggests that in May 1942 there were nearly 20,000 Estonians in the national units. The 8th Estonian Rifle Corps, as these units came to be called after September 1942, reached the front in Velikie Luki in December 1942 and suffered heavy losses in battle as well as the defection of about 1,000 men to the German side. After Velikie Luki the Rifle Corps was replaced with other nationalities from the USSR. The corps' major activity in the latter part of the war was participation in the battles for Estonia. In January 1944, the Soviet Leningrad Front (the Soviet army group in the region of Leningrad) forced the Sponheimer Group back to the former Estonian border. On January 31, the Self-Administration (puppet government of Estonia) announced a general conscription-mobilisation. Jüri Uluots, the last constitutional prime minister of the republic of Estonia, the leader of the Estonian underground government delivered a radio address on February 7 that implored the able-bodied men born in 1904–1923 to report for military service. Before this, Uluots had opposed Estonian mobilisation as illegal under the Hague Conventions. Uluots hoped that by engaging in such a war Estonia would be able to attract Western support for the cause of independence from the USSR. The mobilisation drew wide support among Estonians and 38,000 men were drafted. After the mobilisation there were some 50,000–60,000 Estonians under arms in Estonia. The volunteer Estonian Legion created in 1942 was forced under the Waffen-SS in 1944 and expanded into the 20th Waffen Grenadier Division of the SS (1st Estonian) as other Estonian units that had fought on various fronts on the German side were rushed to Estonia. In addition, six border defence battalions were formed. In autumn 1944, it is estimated that there was the same number of Estonians under arms as at the time of the Estonian War of Independence, in total about 100,000 men. Volunteers from Norway, Denmark, the Netherlands and Belgium were also deployed in Estonia within the Sponheimer Group. The Soviet Kingisepp–Gdov Offensive reached the Narva River on February 2. Forward Soviet units of the 2nd Shock Army and the 8th Army established several bridgeheads on the west bank to the north and south of the city of Narva. On February 7, the 8th Army expanded the bridgehead in the Krivasoo Swamp south of Narva cutting the Narva–Tallinn Railway behind the III (Germanic) SS Panzer Corps. The headquarters of the Leningrad Front were unable to take advantage of the opportunity of encircling the smaller German army group. The Sponheimer Group held its ground in the complicated situation. At the same time, the Soviet 108th Rifle Corps landed its units across Lake Peipus and established a bridgehead around the village of Meerapalu. By a coincidence, the Estonian Division headed for the Narva Front reached the area at the time. In the battle on February 14–16, the I. Battalion, SS Volunteer Grenadier Regiment 45 Estland (1st Estonian) and a battalion of the 44th Infantry Regiment (consisting in personnel from East Prussia) destroyed the landed Soviet troops. The Mereküla Landing was conducted simultaneously, as the 517-strong Soviet 260th Independent Naval Infantry Brigade landed at the coastal borough Mereküla behind the Sponheimer Group lines. However, the amphibious unit was almost completely annihilated. The 2nd Shock Army launched the new Narva Offensive on February 15 simultaneously from the bridgeheads north and south of the city of Narva aimed at encircling the III SS (Germanic) Panzer Corps. After ferocious battles, the exhausted Soviet army halted its operation on February 20. Since the beginning of January, the Leningrad Front had lost 227,440 men as wounded, killed or missing in action, which constituted more than half of the troops who participated in the Leningrad-Novgorod Strategic Offensive. The pause between the offensives was used for bringing in additional forces by both sides. On February 24 (Estonian Independence Day), fulfilling their first task at the Narva Front, the fresh SS Volunteer Grenadier Regiments 45 and 46 (1st and 2nd Estonian) counterattacked to break the Soviet bridgeheads. The assault by the 2nd Estonian Regiment destroyed the Soviet Riigiküla bridgehead. The attack of the 1st and 2nd Estonian Regiments commanded by Standartenführer Paul Vent liquidated the Siivertsi Bridgehead by March 6. By early March, the leadership of the Leningrad Front had drawn nine corps against seven German divisions and one brigade defending Narva. The Soviet Narva Offensive (1–4 March 1944) began to the southwest of Narva aiming to outflank and surround the citadel. The rifle corps of the 59th Army encircled the 214th Infantry Division and the Estonian 658th and 659th Eastern Battalions which kept resisting. This gave the army detachment "Narwa" command enough time to move in all available units and repulse the offensive. A Soviet air raid leveled the historical town of Narva on March 6, 1944. The attack of the 2nd Shock Army infantry followed at the Ivangorod Bridgehead on the east bank of the river on March 8. Simultaneously, pitched battles took place in the north of the town, where the Soviet 14th Rifle Corps supported by the artillery of the 8th Estonian Rifle Corps attempted to break through the German defence held by the Estonian regiments. The attacks were repulsed with great losses for the Soviets. Soviet air assaults against civilians in Estonian towns aimed to force the Estonians away from supporting the German side against the Soviet offensive. The Soviet Long Range Aviation assaulted Tallinn on the night before March 9. Approximately 40% of the housing space was destroyed in the city as 25,000 people were left without a shelter and 500 civilians killed. The result of the air raid was the opposite to the Soviet aim as the Estonians felt disgusted by Soviet atrocities and more men answered the German conscription call. The six divisions, armoured vehicles and artillery of the Soviet 109th Rifle Corps and the newly brought 6th Rifle Corps initiated the Narva Offensive (18–24 March 1944) aimed towards Auvere railway station. The weakened German 61st Infantry Division held their defensive positions. The Kampfgruppe Strachwitz annihilated the Soviet 8th Army shock troop wedge on March 26 at the western end of the Krivasoo Bridgehead. The kampfgruppe destroyed the eastern tip of the bridgehead on April 6. The Kampfgruppe Strachwitz inspired by their success tried to eliminate the bridgehead as a whole but was unable to proceed due to the spring thaw that had rendered the swamp impassable for its tank squadron. By the end of April, the parties at Narva had mutually exhausted their strengths. Relative calm settled on the front until late July 1944. The Soviet 8th Army launched the initial attack of the Narva Offensive at Auvere Railway Station. The 44th Infantry Regiment and the 1st Estonian Regiment repulsed it inflicting heavy losses to the Soviets. The III SS Panzer Corps were evacuated from Narva and the front was settled on the Tannenberg Line at the Sinimäed Hills on July 26. The Soviet advance guard attacked the Tannenberg Line conquering a part of the Lastekodumägi, the easternmost of the three hills. The Soviet attempts to conquer the rest of the hills failed on the following day. The German counterattack on July 28 subsequently collapsed under the defence of the Soviet tank regiments. The forces of the III Army Corps dug themselves into their new positions at the Grenaderimägi, the central of the three hills. 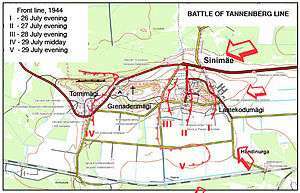 The climax of the Battle of Tannenberg Line was the Soviet attack on July 29. The Soviet shock units suppressed the German resistance at the Lastekodumägi, while the Soviet main forces suffered heavy casualties in the subsequent assault at the Grenaderimägi. The Soviet tanks encircled the Grenaderimägi and the westernmost Tornimägi. At the same time, SS-Obergruppenführer Felix Steiner sent out the remaining seven German tanks which hit the surprised Soviet armoured forces back. This enabled the multi-national combat unit to re-conquer the Grenaderimägi into German hands. Of the 136,830 Soviets initiating the Narva Operation, July 1944, a few thousand had survived and the Soviet tank regiments were demolished. With the aid of swift reinforcements, the Red Army continued their attacks. The Stavka demanded the army detachment "Narwa" destroyed and the town of Rakvere conquered by no later than August 7. The 2nd Shock Army was back to 20,000 troopers by August 2 while their numerous attempts pursuing unchanged tactics failed to break the "Narwa"'s defence. Govorov terminated the Soviet offensive on August 10. When the Estonian Operation failed in the Sinimäed, the combat was carried to the south of Lake Peipus. The main thrust of the Soviet Tartu Offensive Operation was aimed at the town of Petseri. On 10 August, the Soviet 67th Army broke through the defence of the XXVIII Army Corps. The 43rd Rifle Division captured the town of Võru on August 13, forcing the troops of the 18th Army to the banks of the Gauja and the Väike Emajõgi Rivers. The German units supported by the local Omakaitse civil defence battalions fortified their positions along the Väike Emajõgi and repelled the numerous Soviet attempts until 14 September. The Army Group North subjected the defence of the city of Tartu to the Kampfgruppe Wagner, which lacked sufficient troops to man the line. On August 23, the 3rd Baltic Front launched an artillery barrage at the positions of the II. Battalion, 2nd Estonian Regiment in the village of Nõo southeast of Tartu. The Soviet 282nd Rifle Division, the 16th Single Tank Brigade, and two self-propelled artillery regiments passed the defence and captured the strategically important Kärevere Bridge across the Emajõgi River to the west of Tartu. On August 25, three Soviet rifle divisions with the support of armoured and artillery units conquered the town and established a bridgehead on the north bank of the Emajõgi River. Aleksander Warma, Estonia's Ambassador to Finland, had announced that the National Committee of the Estonian Republic had sent a telegram on 1 August which stated: "Estonians return home!". It was then announced that the Finnish Infantry Regiment 200 would be disbanded and that the volunteers were free to return home. An agreement had been reached with the Germans, and the Estonians were promised amnesty if they were to return. The I. Battalion of the Finnish Boys, Estonian Police Battalions No. 37 and 38 and a tank squadron destroyed the bridgehead of two Soviet divisions west of the town by August 30 and captured Kärevere Bridge. On September 4, an operation commanded by Rebane, Vent and Oberstleutnant Meinrad von Lauchert attempted to re-capture Tartu. The attack was repulsed by units of the 3rd Baltic Front. As Finland left the war on September 4, 1944 according to the peace agreement with the Soviets the defence of the mainland became impossible and the command of Army Group Narwa started preparing an evacuation from Estonia. 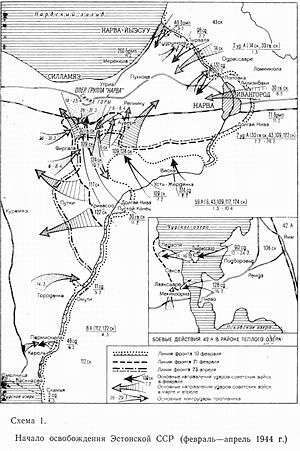 The three Soviet Baltic Fronts launched their Riga Offensive Operation on 14 September along the entire length of the German 18th Army front stretching from Madona town in Latvia to the mouth of the Väike Emajõgi river. In the Estonian segment from Valga railway junction to Lake Võrtsjärv, the 3rd Baltic Front attacked. In fierce battles, the German XXVIII Army Corps and the Omakaitse battalions held their positions against the overwhelming Soviet armies. The Soviet Tallinn Offensive of the 2nd Shock Army commenced in the early morning of 17 September. After the artillery barrage of 132,500 shells and grenades fired at the German II Army Corps, the 8th Estonian Rifle Corps, the 30th Guard Rifle Corps, and the 108th Rifle Corps crossed the Emajõgi in the 25 km wide front segment eastwards from Tartu and went on the offensive with armoured and air support. The defence of the II Army Corps was breached. Only "Rebane" Battle Group placed near Tartu successfully held their front segment. Alfons Rebane extricated his troops with heavy losses. Army Group Narwa and the XXVIII Army Corps, the northernmost elements of Army Group North were at risk of being encircled and destroyed. Schörner ordered Army Group Narwa to abandon the defences of the Emajõgi line and the Narva front to be evacuated from mainland Estonia. The fighters of the Estonian Rifle Corps murdered their compatriot soldiers fallen prisoner in the Battle of Porkuni, and the wounded soldiers sheltering in the Avinurme Parish church. The three German divisions in the West Estonian archipelago (Moonsund archipelago) resisted until 23 November 1944. According to Soviet data, conquering the territory of Estonia cost them 126,000 casualties, from all causes. The battles at the Narva front probably added 480,000 to the figure. On the German side, their own data shows 30,000 dead which is most likely underrated; a more realistic figure would be 45,000. As the Germans retreated, on September 18 Jüri Uluots formed a government led by the Deputy Prime Minister, Otto Tief. The Nazi German flag on Pikk Hermann was replaced with the flag of Estonia two days later. On September 21 the Estonian national government was proclaimed. Estonian forces seized the government buildings in Toompea and ordered the German forces to leave. The Red Army took Tallinn on September 22 and the Estonian flag on Pikk Hermann was replaced with the Red flag. After the evacuation of the German forces, the Estonian military units under the command of Rear Admiral Johan Pitka continued to resist the Red Army. The Estonian troops were defeated by the Soviet advance units in the battles held on September 23 west of Tallinn near Keila and Risti. The Estonian underground government, not officially recognized by either Nazi Germany or the Soviet Union, fled to Stockholm, Sweden and operated in exile until 1992, when Heinrich Mark, the Prime Minister of the Republic of Estonia in duties of the President in exile, presented his credentials to the newly elected President of Estonia Lennart Meri. On February 23. 1989 the flag of the Estonian SSR was lowered on Pikk Hermann, and was replaced with the flag of Estonia on February 24, 1989. Soviet forces reconquered Estonia in the autumn of 1944 after fierce battles in the northeast of the country on the Narva river (see Battle of Narva) and on the Tannenberg Line (Sinimäed). In 1944, in the face of the country being re-occupied by the Red Army, 80,000 people fled from Estonia by sea to Finland and Sweden, becoming war refugees and later, expatriates. 25,000 Estonians reached Sweden and a further 42,000 Germany. During the war about 8,000 Estonian Swedes and their family members had emigrated to Sweden. After the retreat of the Germans, about 30,000 Forest Brothers remained in hiding in the Estonian forests, to prepare for a massive guerrilla war. Commander of 46. SS Grenadier Regiment, Friedrich Kurg, stood with most of his men in the Estonian forests. In 1949 27,650 Soviet troops still fought a war against the Forest Brothers. Only the 1949 mass deportation (see Operation Priboi) when about 21,000 people were taken away broke the basis of the insurgent movement. 6,600 Forest Brothers gave themselves up in November 1949. Later on, the failure of the Hungarian uprising broke the resistance morale of the 700 men still remaining under cover. According to the Soviet data, up to 1953, 20,351 insurgents were disarmed. Of these, 1,510 perished in the battles. During that period, 1,728 members of the Red Army, NKVD and the militia were killed by the Forest Brothers. August Sabbe, one of the last surviving Forest Brothers in Estonia, was discovered by KGB agents and drowned himself in 1978. After him there were few insurgents alive in the Estonian forests. Many of them died because of their age in the next 15 years. 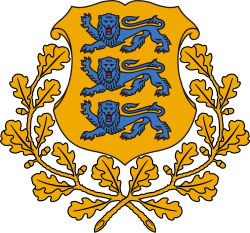 During the first post-war decade of Soviet regime, Estonia was governed by Moscow via Russian-born Estonian governors. Born into the families of native Estonians in Russia, the latter had obtained their Red education in the Soviet Union during the Stalinist repressions at the end of the 1930s. Many of them had fought in the Red Army (in the Estonian Rifle Corps), and few of them had mastered the Estonian language. Although the United States and the United Kingdom, the allies of the USSR against Germany during World War II, recognized the occupation of the Republic of Estonia by the USSR at the Yalta Conference in 1945 de facto, the governments of the rest of the western democracies did not recognize the seizure of Estonia by the USSR in 1940 and in 1944 de jure according to the Sumner Welles' declaration of July 23, 1940. Such countries recognized Estonian diplomats and consuls who still functioned in many countries in the name of their former governments. These aging diplomats persisted in this anomalous situation until the ultimate restoration of Estonia's independence in 1991. The Russian Federation, the successor state to the Soviet Union, subsequently ended its military presence in the Republic of Estonia by withdrawing its last troops in August 1994, and relinquishing its control of the nuclear reactor facilities in Paldiski in September 1995. The Court notes, first, that Estonia lost its independence as a result of the Treaty of Non-Aggression between Germany and the Union of Soviet Socialist Republics (also known as "Molotov-Ribbentrop Pact"), concluded on 23 August 1939, and the secret additional protocols to it. Following an ultimatum to set up Soviet military bases in Estonia in 1939, a large-scale entry of the Soviet army into Estonia took place in June 1940. 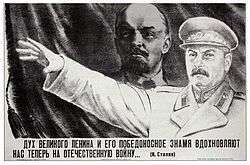 The lawful government of the country was overthrown and Soviet rule was imposed by force. The totalitarian communist regime of the Soviet Union conducted large-scale and systematic actions against the Estonian population, including, for example, the deportation of about 10,000 persons on 14 June 1941 and of more than 20,000 on 25 March 1949. After the Second World War, tens of thousands of persons went into hiding in the forests to avoid repression by the Soviet authorities; part of those in hiding actively resisted the occupation regime. According to the data of the security organs, about 1,500 persons were killed and almost 10,000 arrested in the course of the resistance movement of 1944–1953. Interrupted by the German occupation in 1941–1944, Estonia remained occupied by the Soviet Union until its restoration of independence in 1991. According to the Estonian point of view, the occupation of Estonia by the Soviet Union lasted five decades, only interrupted by the Nazi invasion of 1941-1944. Following the events of the Bronze night in 2007, the national conservative UEN group of the European Parliament made a motion for a resolution acknowledging the 48 years of occupation as a fact. The final version of the resolution of European parliament, however, only acknowledged Estonia's loss of independence lasting from 1940 to 1991 and that annexation of Estonia by Soviet Union was considered illegal by Western democracies. A motion by the left-wing GUE/NGL Group for a resolution condemning the relocation by the Estonian Government of the World War II memorial fell. Estonian national Ilmar Haaviste, head of an association of Estonian veterans who fought on the German side: “Both regimes were equally evil – there was no difference between the two except that Stalin was more cunning”. Estonian national Arnold Meri who fought on the Soviet side and was later charged with genocide for his role in the deportations: "Estonia's participation in World War II was inevitable. Every Estonian had only one decision to make: whose side to take in that bloody fight – the Nazis' or the anti-Hitler coalition's." Russian national Viktor Andreyev who fought on the Soviet side in Estonia answering the question: "How do you feel being called an "occupier"?" — "Half believe one thing, half believe another. That's in the run of things." In 2004 the controversy regarding the events of World War II surrounded the Monument of Lihula. In April 2007 the diverging views on the history caused the Bronze Soldier of Tallinn protests. ↑ In some areas of southern Estonia, pro-independence administrations were already in place by the time German troops arrived. Jüri Uluots set up a co-ordinating council in Tartu, yet stopped short of declaring a provisional government. ↑ Often the guerrillas were able to liberate towns before the Germans arrived...The relative slowness of the German advance allowed about 12,000 Estonian 'Forest Brothers' to organize in small local units. The Forest Brothers attacked Soviet garrisons, forcing part of the Red Army to retreat into Latvia, liberating towns and villages and occupying key installations. ↑ In Estonia, the pre-war Prime minister Uluots switched his stand on mobilization in February 1944 when the Soviet Army reached the Estonian border. At the time the Estonian units under German control had about 14,000 men. Counting on a German debacle, Uluots considered it imperative to have large numbers of Estonians armed, through any means.... Uluots even managed to tell it to the nation through the German-controlled radio: Estonian troops on Estonian soil have "a significance much wider than what I could and would be able to disclose here". The nation understood and responded: 38,000 registered. Six border-defense regiments were formed, headed by Estonian officers, and the SS Division received reinforcements, bringing the total of Estonian units up to 50,000 or 60,000 men. During the whole period at least 70,000 Estonians joined the German army, and more than 10,000 may have died in action. About 10,000 reached the West after the war ended. ↑ Alexander II permitted Jews with university degrees and merchants of the third guild to settle anywhere in Russia, and several hundred settled in Estonia. ↑ The Estonian Cultural Autonomy Law of 1925 was unique in inter-war Europe, and elicited much attention internationally. Under its terms, representatives of Estonia's Russian, German, and Swedish minorities (and other nationality groups numbering at least 3,000) were given the possibility of establishing their own cultural self-governments. ↑ The Estonian Army, where in June 1940 there were 16,800 men, was changed into the "22nd Territorial Rifle Corps", which was totally russified at the beginning of the war (only 9,000 previous Estonian soldiers stayed compared to 20,000 Russians). Thousands of men escaped from the corps when sent to Russia at the outbreak of the war. 5,500 Estonian soldiers served in the corps during the first battle. 4,500 of them went over to the German side. In September 1941, when the corps was liquidated, there were still 500 previous Estonian soldiers. ↑ During the German attack in June 1941 all three Territorial Corps suffered mass desertions to the Germans; The Soviet High Command transferred them deep into Russia before disbanding them at the end of 1941, and hundreds of officers subsequently died in Gulag labour-camps while the other ranks were transferred to military labour duties. Last-minute Soviet attempts to mobilise Baltic civilians were largely unsuccessful. ↑ League of Nations Treaty Series, Vol. CXXXI, pp. 297–307. ↑ League of Nations Treaty Series, 1934, No. 3391. ↑ Nekrich, Aleksandr Moiseevich; Ulam, Adam Bruno; Freeze, Gregory L. (1997). Pariahs, Partners, Predators: German-Soviet Relations, 1922–1941. Columbia University Press. pp. 130–1. ISBN 978-0-231-10676-4. ↑ Raack, Richard (1995). Stalin's Drive to the West, 1938–1945. Stanford University Press. p. 58. ISBN 978-0-8047-2415-9. The generals of the two invading armies went over the details of the prearranged line that would mark the two zones of conquest for Germany and Soviet Russia, subsequently to be rearranged one more time in Moscow. The military parade that followed was recorded by Nazi cameras and celebrated in the German newsreel: German and Soviet generals cheek by jowl in military homage to each other's armies and victories. ↑ (Russian) documents published from the State Archive of the Russian Navy Archived February 19, 2005, at the Wayback Machine. ↑ "The President of the Republic acquainted himself with the Estonian Defence Forces". Press Service of the Office of the President. December 19, 2001. Retrieved 2 January 2009. ↑ 784 AE. "Riigikogu avaldus kommunistliku režiimi kuritegudest Eestis" (in Estonian). Riigikogu. Retrieved 2 January 2009. ↑ Lohmus, Alo (10 November 2007). "Kaitseväelastest said kurja saatuse sunnil korpusepoisid" (in Estonian). Retrieved 2 January 2009. ↑ U.S.-Baltic Relations: Celebrating 85 Years of Friendship at U.S Department of State Archived July 11, 2007, at the Wayback Machine. ↑ General Johan Laidoner at The Estonian War Museum Archived July 18, 2007, at the Wayback Machine. ↑ Deportation from Estonia in 1941 and 1949. Estonia Today. Fact Sheet of the Press and Information Department, Estonian Ministry of Foreign Affairs. June 2006. ↑ С.Г.Исаков Очерки истории русской культуры в Эстонии. Таллинн, 2005, с. 394–395. 1 2 3 4 5 6 7 Peeter Kaasik; Mika Raudvassar (2006). "Estonia from June to October, 1941: Forest brothers and Summer War". In Toomas Hiio; Meelis Maripuu; Indrek Paavle. Estonia 1940–1945: Reports of the Estonian International Commission for the Investigation of Crimes Against Humanity. Tallinn. pp. 496–517. ↑ Indrek Paavle, Peeter Kaasik (2006). "Destruction battalions in Estonia in 1941". In Toomas Hiio; Meelis Maripuu; Indrek Paavle. Estonia 1940–1945: Reports of the Estonian International Commission for the Investigation of Crimes Against Humanity. Tallinn. pp. 469–493. ↑ 1940–1992. Soviet era and the restoration of independence. Archived June 10, 2007, at the Wayback Machine. ↑ Eesti rahva kannatuste aasta. [The year of sufferings for the Estonian people]. In Estonian. Tallinn, 1996, p. 234. ↑ Arthur Võõbus. The tragedy of the Estonian people: the mortal struggle of an outpost of European culture, the nation of Estonia. Stockholm 1985. 1 2 3 Toomas Hiio (2006). "Combat in Estonia in 1941". In Toomas Hiio; Meelis Maripuu; Indrek Paavle. Estonia 1940–1945: Reports of the Estonian International Commission for the Investigation of Crimes Against Humanity. Tallinn. pp. 413–430. 1 2 3 4 Chronology at the EIHC Archived June 9, 2007, at the Wayback Machine. ↑ Estonian Vikings at Naval&Military Press Archived April 26, 2006, at the Wayback Machine. ↑ Terasest tugevamad: pataljon Narva ajalugu. 1 2 3 mobilisation in Estonia estonica.org Archived January 31, 2009, at the Wayback Machine. ↑ Jüri Uluots at president.ee Archived September 27, 2007, at the Wayback Machine. ↑ Lauri Mälksoo (2006). The Government of Otto Tief and Attempt to Restore the Independence of Estonia in 1944: A Legal Appraisal. In: Toomas Hiio, Meelis Maripuu, Indrek Paavle (Eds.). Estonia 1940–1945: Reports of the Estonian International Commission for the Investigation of Crimes Against Humanity. Tallinn. 1 2 3 4 5 6 7 8 9 10 11 12 13 14 15 Laar, Mart (2005). Estonia in World War II. Tallinn: Grenader. ↑ David M. Glantz (2001). The Soviet-German War 1941–1945: Myths and Realities (PDF). Glemson, South Carolina: Strom Thurmond Institute of Government and Public Affairs, Clemson University. 1 2 3 4 5 6 7 8 9 10 11 12 13 14 15 16 17 18 19 20 21 Toomas Hiio (2006). Combat in Estonia in 1944. In: Toomas Hiio, Meelis Maripuu, Indrek Paavle (Eds.). Estonia 1940–1945. Tallinn: Estonian International Commission for the Investigation of Crimes Against Humanity. ↑ Mart Laar. Emajõgi 1944: Teise Maailmasõja lahingud Lõuna-Eestis (Emajõgi River 1944: Battles of World War II in South Estonia. In Estonian). Tallinn: Varrak. ↑ Mitchum, S. (2007). German Defeat in the East 1944–45. Stackpole. ↑ Mart Laar (2006). Sinimäed 1944: II maailmasõja lahingud Kirde-Eestis (Sinimäed Hills 1944: Battles of World War II in Northeast Estonia) (in Estonian). Tallinn: Varrak. ↑ Heinrich Mark at president.ee Archived September 27, 2007, at the Wayback Machine. ↑ Mart Laar (1992). War in the Woods: Estonia's Struggle for Survival, 1944–1956. Washington: The Compass Press. ISBN 978-0-929590-08-0. ↑ Daniel Fried, Assistant Secretary of State at U.S Department of State Archived July 11, 2007, at the Wayback Machine. Smith, David James (2002). The Baltic States: Estonia, Latvia and Lithuania. Routledge. ISBN 978-0-415-28580-3. Feldbrugge, Ferdinand (1985). Encyclopedia of Soviet Law. BRILL. ISBN 978-90-247-3075-9. Smith, David James (2001). Estonia: independence and European integration. Routledge. ISBN 978-0-415-26728-1. Subrenat, Jean J; Cousins, David; Harding, Alexander (2004). Estonia: Identity and Independence. Waterhouse. ISBN 978-90-420-0890-8. Estonian State Commission on Examination of Policies of Repression (2005). The White Book: Losses inflicted on the Estonian nation by occupation regimes. 1940–1991 (PDF). Estonian Encyclopedia Publishers. Jurado, Carlos Caballero; Thomas, Nigel; Pavlović, Darko (2002). Germany's Eastern Front allies (2): Baltic forces. Osprey Publishing. ISBN 978-1-84176-193-0. O'Connor, Kevin (2003). 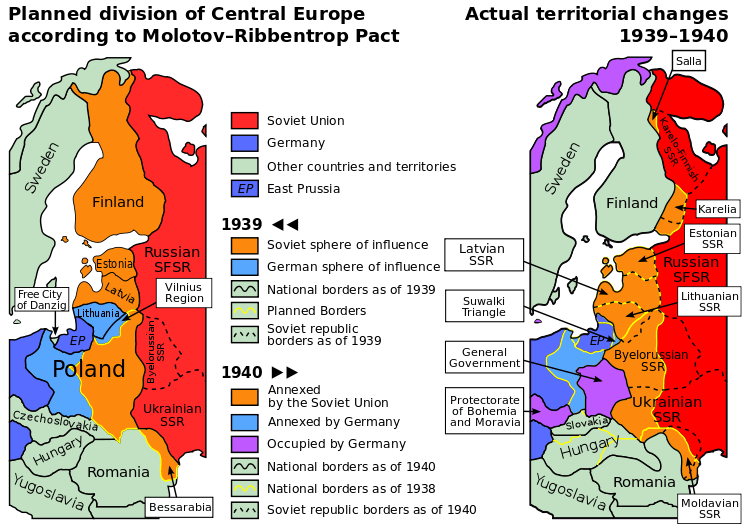 The history of the Baltic States. Greenwood Publishing Group. ISBN 978-0-313-32355-3. Minahan, James (2000). One Europe, many nations. Greenwood Publishing Group. ISBN 978-0-313-30984-7. Lande, Dave (2001). Resistance! Occupied Europe and Its Defiance of Hitler. ISBN 978-0-7603-0745-8. Ertl, Alan (2008). Toward an Understanding of Europe. Universal-Publishers. ISBN 978-1-59942-983-0. United States Congress (1972). Baltic States: A Study of Their Origin and National Development, Their Seizure and Incorporation Into the U.S.S.R. W. S. Hein.